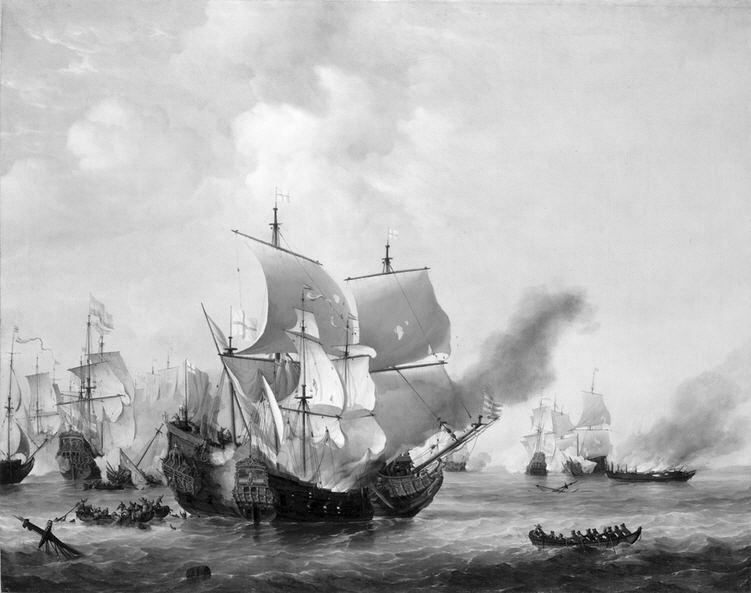 Here we see a painting by Willian van de Velde the Elder of a fireship attack during the battle of Scheveningen (10 August 1653). The relatively small Andrew is being attacked by the Dutch fireship Fortuijn. Although Rear Admiral Thomas Graves was killed in the attack the Andrew was eventually saved. Note the burnt out fireship hull to the right of the picture.